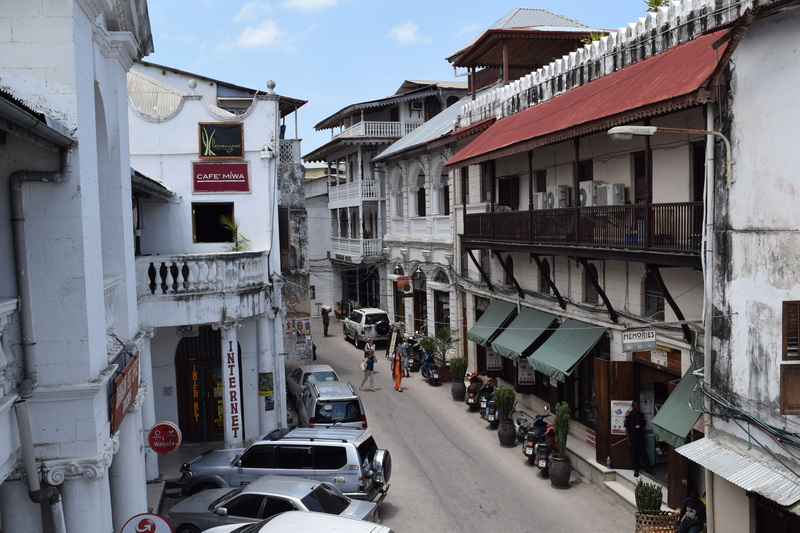 Stone town, or the old town as locals call it, with all its clichés and a heady mixture of old and modern, gets you the required good start in Zanzibar. It gives you a heritage city look, as you look out over the rusted roofs atop crumbling white buildings, with their wooden shutters and intricately carved wooden doors and windows speaking loud of the Swahili architecture. And then there are endless culinary options to indulge in or small round tables overlooking the calm, turquoise sea for a spicy, Swahili coffee. Zanzibar is a popular tourist destination with some cool heritage hotels to immerse oneself in the luxury of history. Even the hotels (from the budget to the luxury ones) wear heritage look. I chose the Tembo Hotel; and soon after checking in I set off for an old city tour to explore the century old buildings. I started the day with a coffee served on the roof of an old house, overlooking the wooden dhows sailing alongside the slick sailing vessels in the calm ocean and the narrow winding streets teeming with street culture spilling out of the curio shops. An inspecting overlook and I was prepared to wander through the maze of these winding streets. Like any old, heritage town, Zanzibar is best experienced on foot. And the streets are always alive with activity, with its historical buildings and carved wooden doorways (some over a century old), giggling schoolchildren scurrying across the streets, travelers whisking across the streets taking an eyeful of the curios and enjoying seafood platters and young men leaping off the harbor walls to brace the azure blue waters. These are moments of textbook holidaying, walking past the old town, capturing the rustic feeling set among the old buildings, sweet scent of spices hung in the Stone town alleys, hearing the ships docking at the harbor, distant islands oozing the romance of travel and exploration and travelers basking in the white pristine sand beaches. But Zanzibar has a more sinister claim to fame; it was an important slave trading port for the Onam traders. Slaves were auctioned in the slave market and taken through European and Asian trade routes. Started by the Portuguese, slave trade flourished during the Onami sultanate until it was made illegal by the British in 1873. The Anglican Cathedral built at the site of the slave trade, now stands as a symbol of this abolition, thanks to the anti-slavery campaign championed by David Lingvinston. My guide Samuel took me through the slave chambers, though out of fifteen only two remain today, but are enough to narrate the horrid tale of that era. 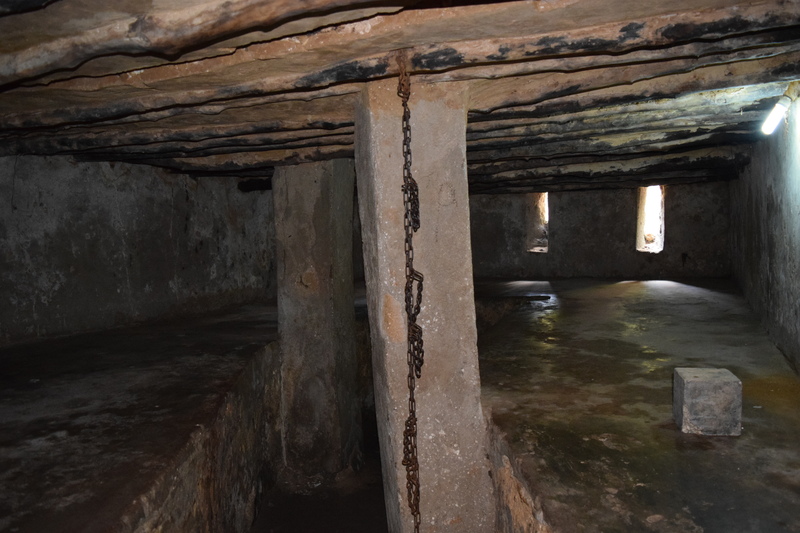 ‘Can you imagine upto fifty slaves were chained and kept in this chamber? There was no washroom, and slaves were made to defecate on the floor and during high tide, the sea water would wash away the feces’ Samuel said pointing at the slave chamber, dark and only upto 5 feet in height characterized by limited ventilation. 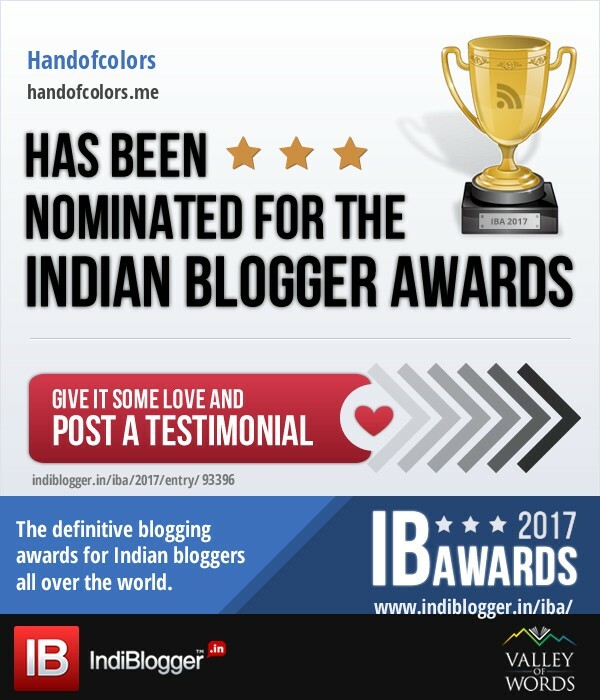 ‘Slaves would die of hunger and suffocation; those who managed to survive were taken for auction and then across the globe, including your country India.’ he added. ‘But I don’t find a trace of African slaves in Asia.’ I asked him out of curiosity. He showed me the tomb of Bishop in the Cathedral and a spot, where Samuel told the whipping tree stood. The slaves were tied to the tree and whipped, the more whips a slave could manage to tolerate, the more was he priced and the better market he was sent to. 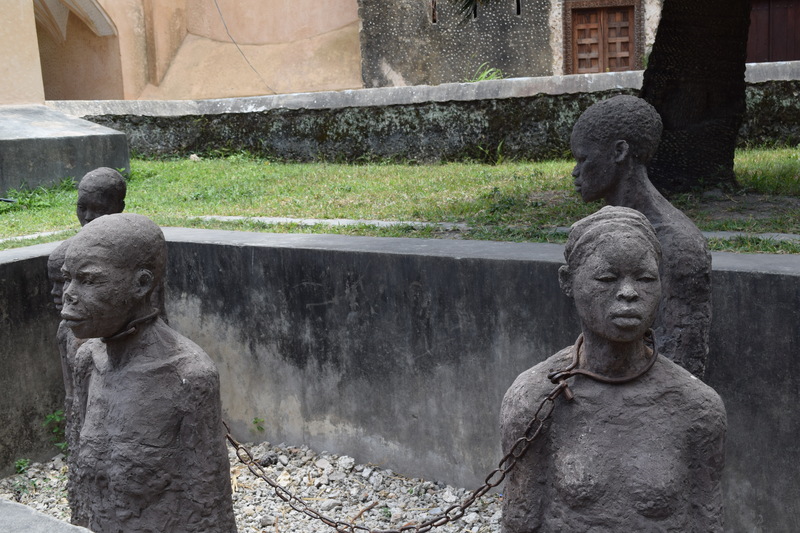 Outside the cathedral stands a slave monument. Zanzibar has enough stories to load you with, just keep strolling around, the admirable architecture, gloriously carved doorways and numerous curio shops wait to be discovered. 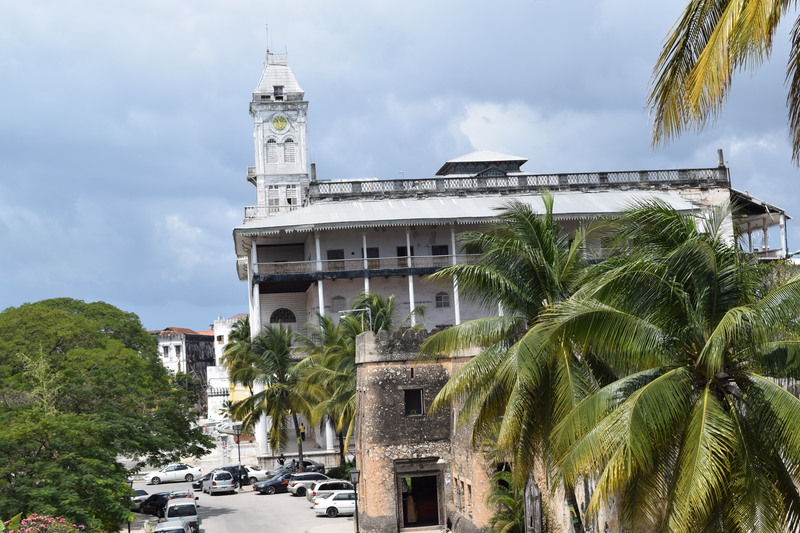 My exploration started with the ‘House of Wonders’, built way back in 1883 by Sultan Burghash as a ceremonial building, this landmark structure has a clock tower and some of the most massive and elaborately carved doorways in Zanzibar. With its massive doors, numerous arcades and a column of pillars, this ceremonial building looks impressive. 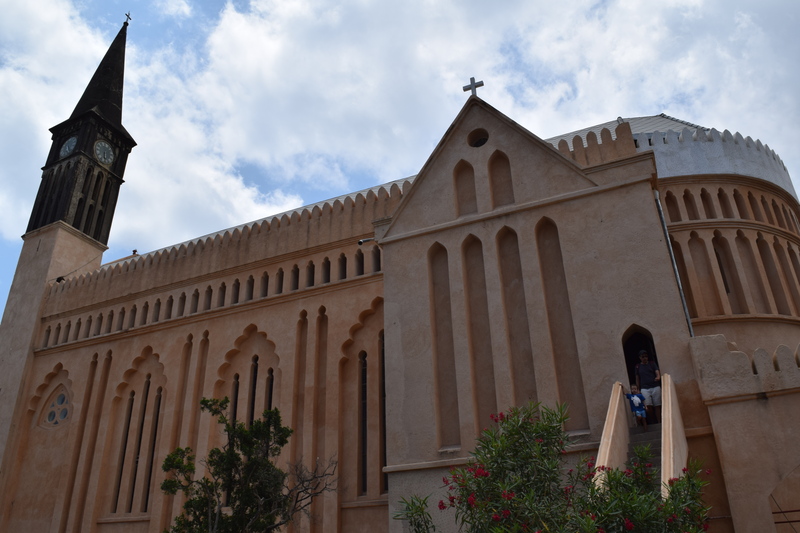 It was also the first building in Zanzibar to have electricity, water pipeline and elevator; and because of its modern features the citizens christened it ‘House of wonders’. This largest building is now closed for renovation. A short walk from the ‘House of wonders’ takes one to the Palace Museum, a huge white palace of the Sultanate, providing a sneak-peek into the Sultanate lifestyle. Continue your walk up north towards the ferry terminal and you will come across an unmissable four story structure, the Old dispensary. This ornate, old buildings with carved arcades and stinted glass windows, which was once a hospital, now houses a handicraft shop. I took another break to settle for some Zanzibari food. Well, you’d be crazy not to expect good culinary experience in this island of spices. Zanzibari food is a symbol of cultural fusion, inspired from a cultural mélange this island has seen. There is a mélange of culinary rituals of Arabs, Portuguese, Italian and Indian with a subtle veneer of Swahili. And no doubt the best way to experience this cultural pot-pourii is to miss the chic restaurants and take to the street. Crawling along pavements, you will surely be hit by strong signals from the snack monsters. Try Urojo, a tangy chicken stock base, into which is added chopped potato, fried cassava chips, and usually served with kachori (deep fried balls of mashed potatoes spiced with chilli, lime, ginger and garlic). There are few spots to get this, the Darajani food market being the best. I recommend a visit to Darajani anyways, its smelly but still a treat to eyes. An unmissable treat is Nyama Choma – a traditional Swahili way of making meat, where meat is hung on iron rods and allowed to roast slowly. Or a stop for some Zanzibari espresso or masala chai (tea) at Jaw’s corner. And then be off to the most famous, Zanzibari dish – Zanzibar pizza, which is thick flour dough with a jumble of veggies, tomatoes and chicken or meat on top. Many stalls in the night market at Farodhani sell this. 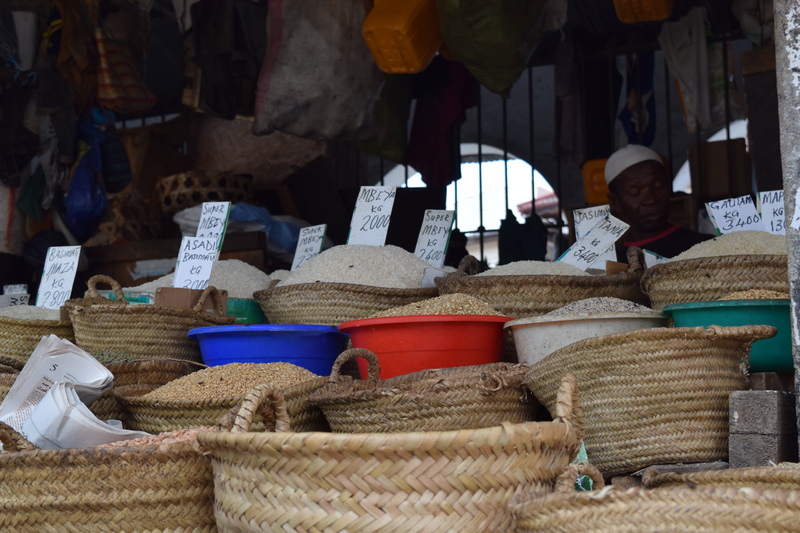 Anyway Farodhani market is a place to expose yourself to the merciful jumble-de-goop that is Zanzibari food. And if you are a seafood lover, you have endless options to look for, from the pushcarts, peddlers and the chicken coop tin sheds on every street to the fabulously designed restaurants and cafes. In the evening I was off to the Prison Island to meet another symbol of Zanzibar. A 30 minute boat ride brought me to Prison Island, known for snorkeling and as a cradle of giant land tortoises. Once used as a penitentiary for rebel slaves by the sultans from the 1860s until the end of the slave trade and then converted to a prison on the island by the British Governor, Lloyd Matthews and then used as a quarantine for yellow fever patients. 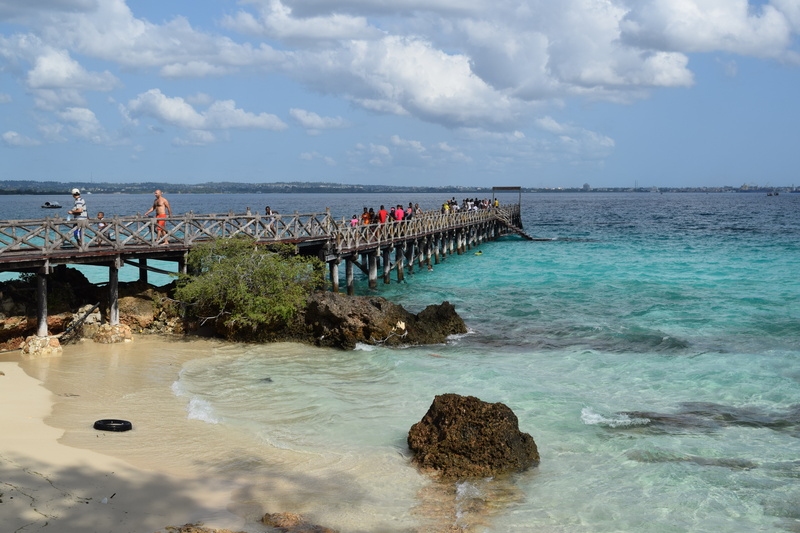 Don’t get deceived by the word ‘prison’, this island now houses a resort and a restaurant, and has a beautiful and quiet white sandy beach, giant turtle sanctuary and coral rag forest. 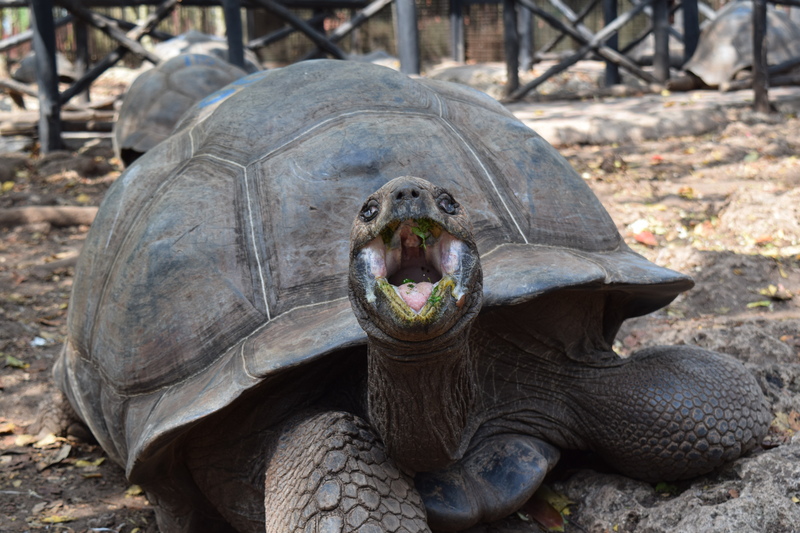 The Aldabra Giant Tortoise Sanctuary is a major attraction here. There tortoises were presented to Lloyd Matthews by the then Governor of Seychelles, and were kept on the main island initially but shifted to the Prison Island as several attempts were made to steal them. 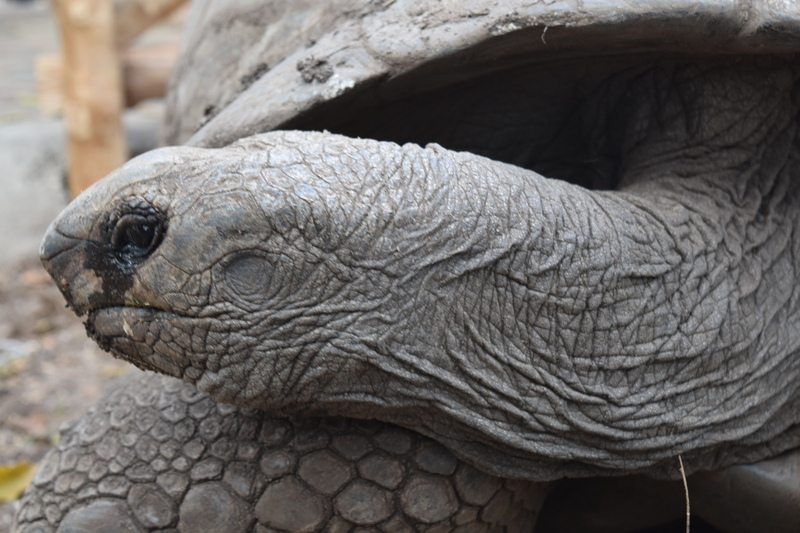 The prison island now serves as a sanctuary for this endangered breed of giant tortoises, which can weigh over 200 kgs and live upto 150 years. 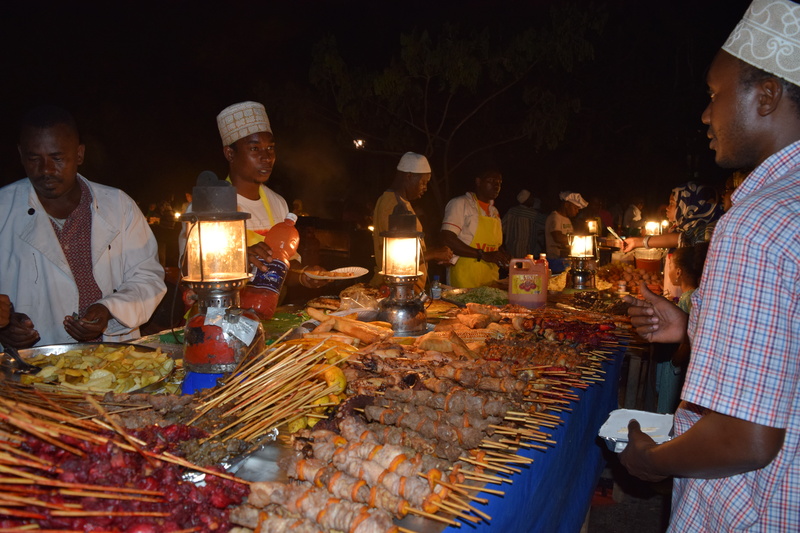 Evenings in the stone town are as delightful as the day, movement of people move from towards the beach to towards the market, artistic lamps lit up to give a bride’s look to the old town and above all, the Forodhani market is set up to enjoy the Zanzibar food. 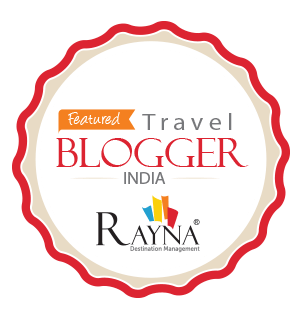 The byzantine alleyways, the crumbling fort and the Sultan Palace, and the aroma of Bantu food mixed with Arabic, Portuguese and Indian food, hung in the cozy sea breeze, make it appear a town from Arabic fairy-tale. After an hour long stroll in thse alleys, capturing some night-life, I was off for a final chance to grab some seafood, recaffeinate myself with spicy Swahili coffee and a quick hop at an Indian Restaurant to sweeten my food pipe with ‘gajar ka halwa’ and then off to relax on the hammock by the sea in Tembo Inn.